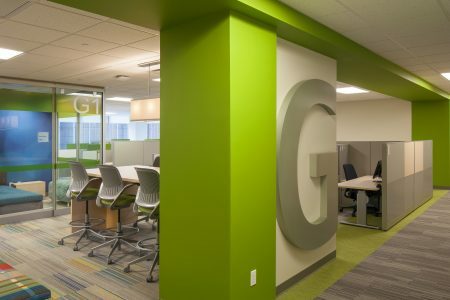 A fresh and flexible approach to workplace design. The key is to remain flexible. It’s a lesson Liana has learned in life that applies directly to her career as a workplace interior designer. Always be curious, open to change, and align past experience with present opportunity. 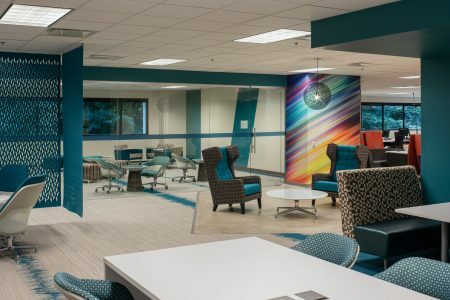 As a member of our national design team, Liana designs spaces for thousands of employees across the country. 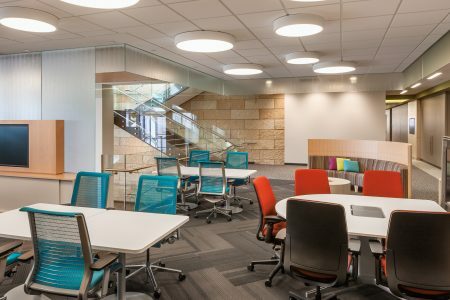 Over one million square feet of space in places like Boston, D.C., and L.A. For employees of all ages, roles and personal preferences. So she’s learned to listen. And to apply what she hears employees want against corporate business goals, standards, and budgets. She collaborates with corporate real estate teams to communicate change, engaging employees so they embrace the new workplace. And she does all this, day in and day out, with a smile. Because the former gymnast knows that by remaining flexible, the best idea/result/design can be achieved.